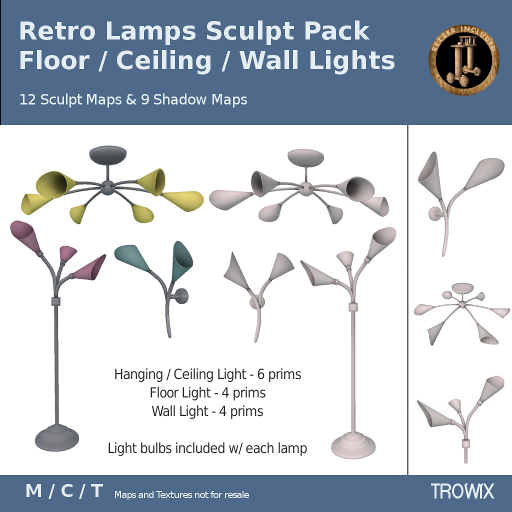 Three Retro Lamps – Bright! 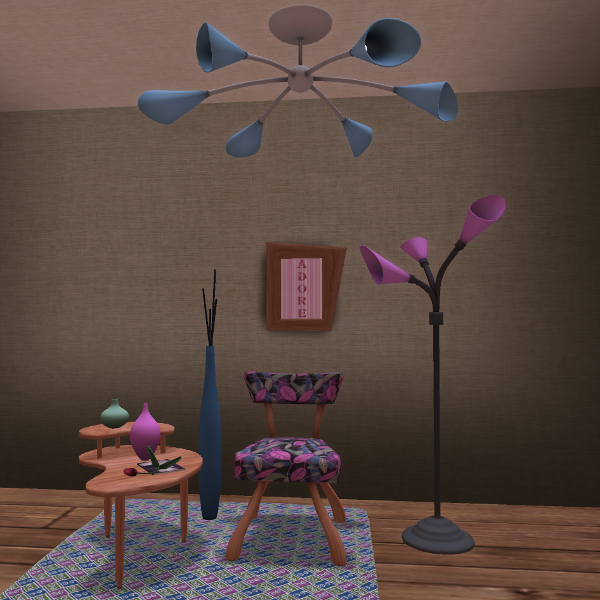 Inspired by mid-century lighting pieces, these lamps are not only retro modern, but wonderfully organic bringing clean soft lines to your builds. 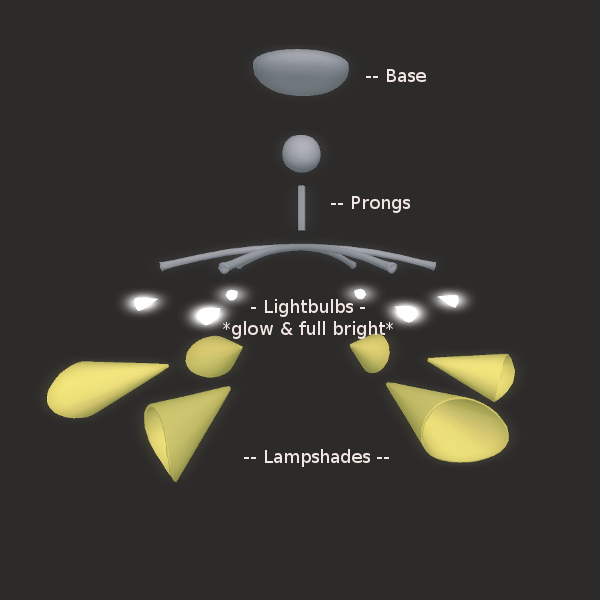 Low prim count and LOD2 components add to their usefulness. Shadow maps make it easy to make your own realistic textures. Nicely low prim for such detail. And still LOD2! 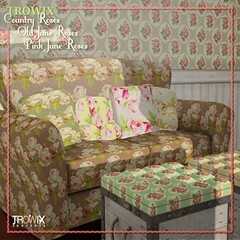 Retro-style sitting area made with Trowix sculpts & textures. You can love lamp, too! 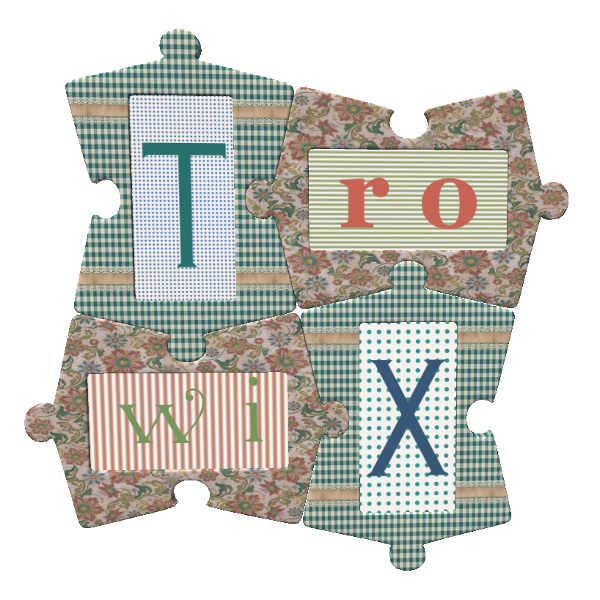 Stop by the Trowix Barn or SL’s Marketplace. 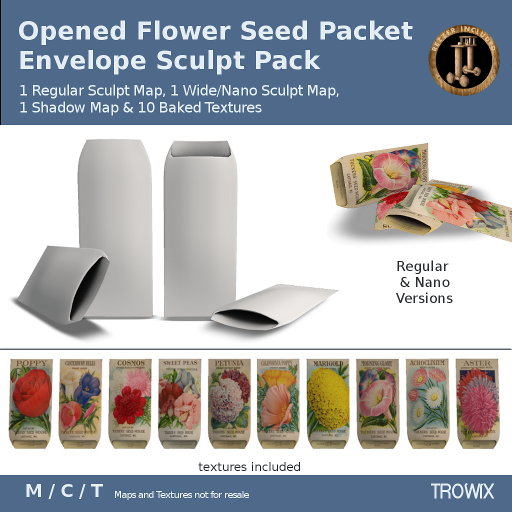 An open seed packet and 10 vintage flowers baked textures to add realism to your builds. Carefully crafted for smooth edges & texturing, you will enjoy adding this to your gardening toolbox – office and more clever uses. So many flowers & it comes with a nano for.. charm bracelet? 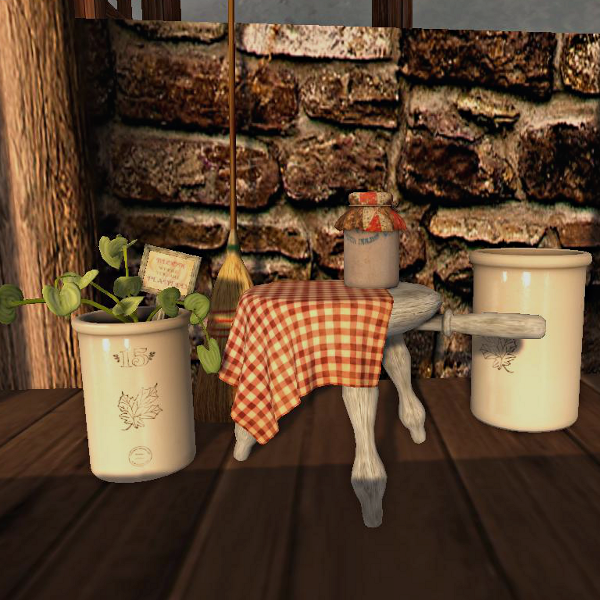 You can get your own Spring-i-ness at the Trowix Barn and even on SL’s Marketplace. Have the happiest of weeks! 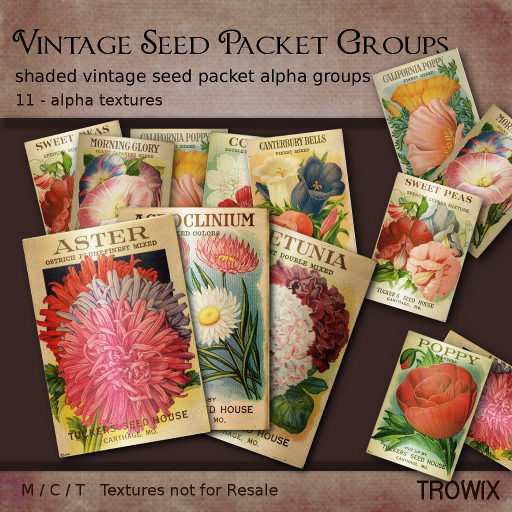 Vintage Seed Packet Groups – Pretty! 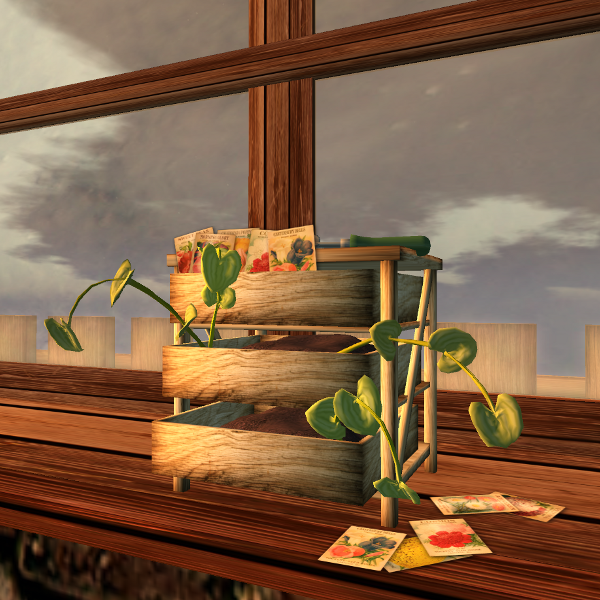 Lovely colorful vintage flower seed packets are arranged in groups of 3 to 5 for you to scatter on your potting benches, potting trays and garden baskets giving the illusion of multiple seed packs for a single prim. A fun little detail with a lot of impact, you’ll find lots of places for these, tuck them in anywhere. You’ll catch yourself wanting to pick them up! 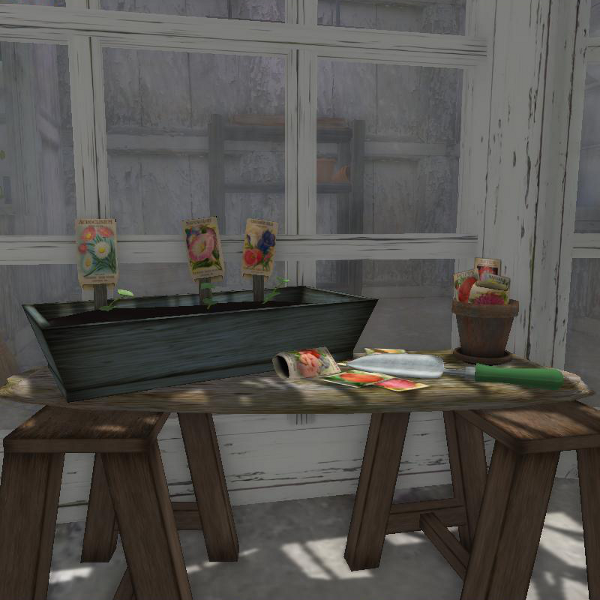 Find all your Spring planting needs at the Trowix Barn and on SL Marketplace. We’ve included all the extras, even a wall shadow! 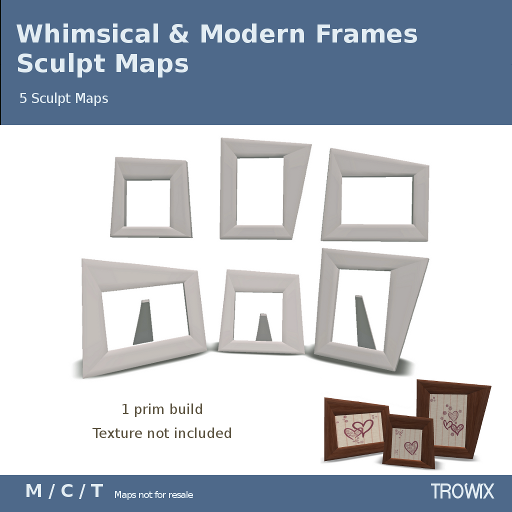 Trowix Sculpts & Textures on the loose in the 19th century! 3 Baked textures for your convenience. 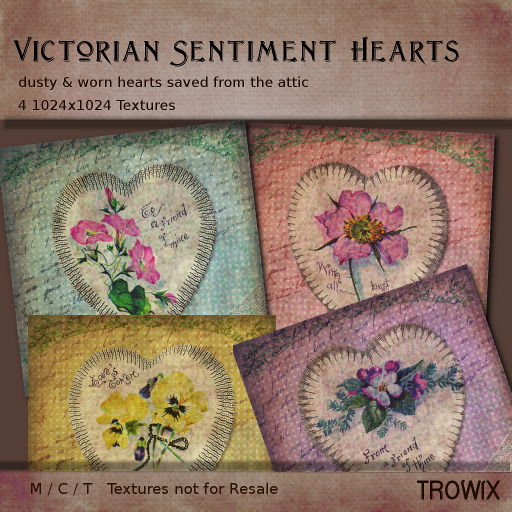 Victorian Sentiment Hearts – Awww! 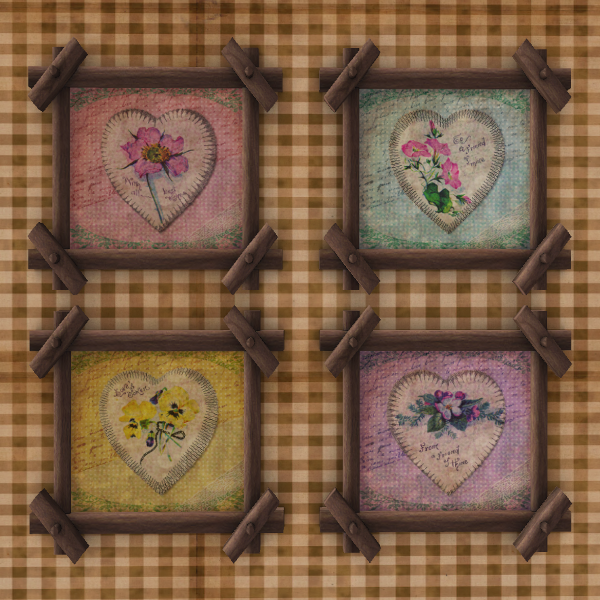 Dusty, worn, with hand-written sentiments on flowered Victorian hearts saved from that little corner of the attic for your SL projects. Gardens, pillows, pictures, greetings cards – you’ll find lots of ways to add some ❤ to your builds. 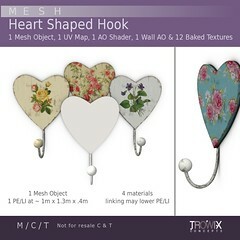 Real Victorian hearts, FRENCH & sweet flowers! 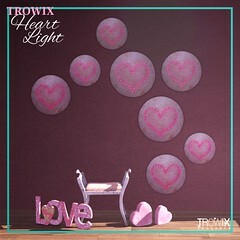 Heart! Displayed in our newest sculpted frame. Sweet! Even if you lined a birdcage with these, it would smell so ‘tweet’! ….you can buy these and / or kill me for that pun at the Trowix Barn. 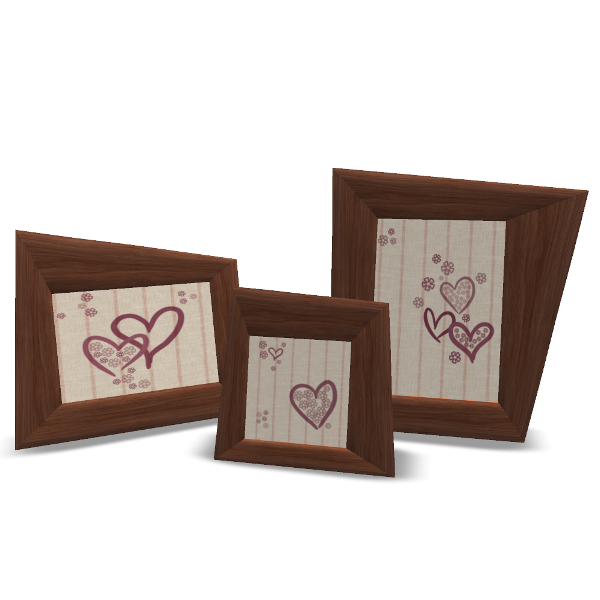 A little Modern, a little funky and a whole lot of fun; these smooth texturing frames are perfect alone or with any kind of embellishment. 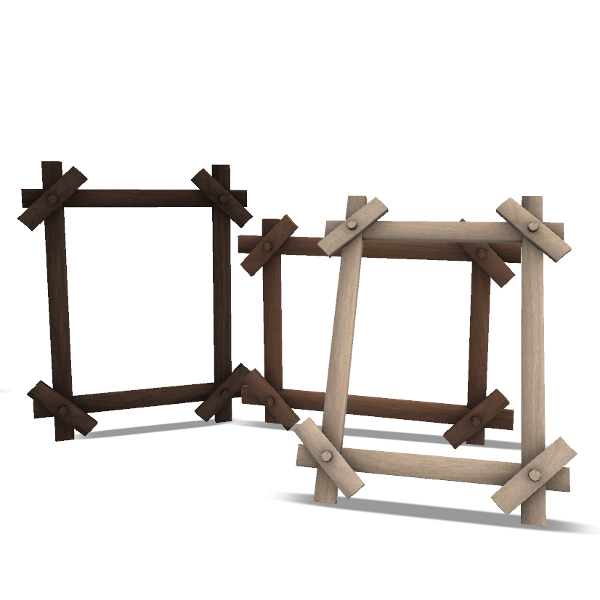 Three LOD2 frame designs with and without table stand. Cubist, Surreal or just wonky these have stylish appeal. 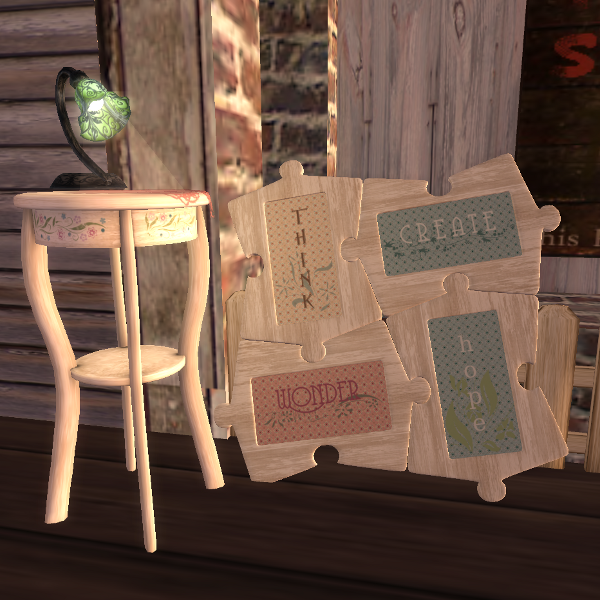 The desk frames grouped with that cheapie texture. Stop by the Trowix Barn for these. We’ll keep you framed! 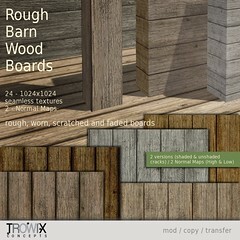 A Tiny Texture pack for Ten linden. Show someone you ❤ them! Only 10L. 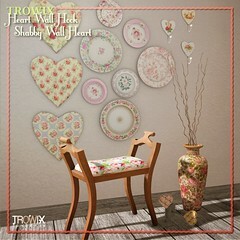 At Trowix Barn & SL Marketplace. 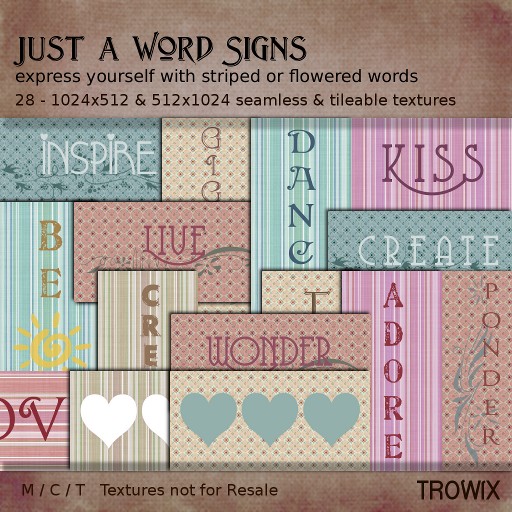 Verbs to affirm, inspire, be happy make up this texture pack. 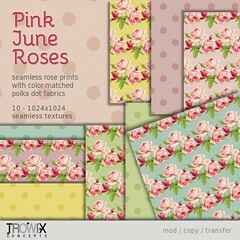 Sweet as Granny florals and matching stripes so you can mix & match and match & mix. Express yourself! 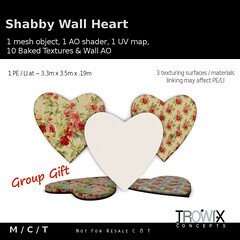 *This pack is recommended for Trowix Mesh Puzzle Piece Frames picture textures. and Buy! 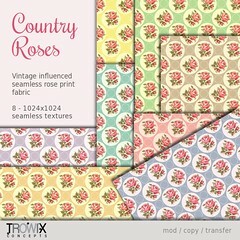 at Trowix Barn Store or at Our Little Barn on Marketplace. 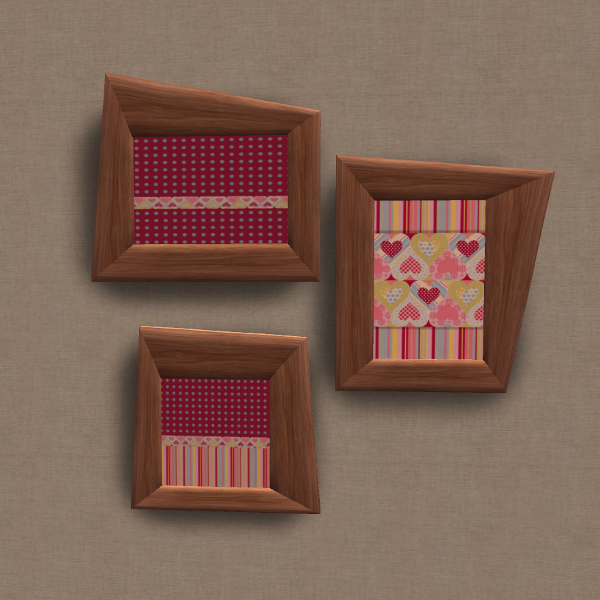 Puzzle Piece Frames – Mesh! Put it all together with this mesh! 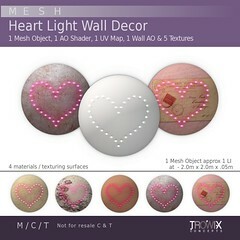 A puzzle piece carefully made to provide you with the wonderful smooth textures available with our mesh products. 3 material areas or faces will take standard SL textures in-world, no need for photo-editing! 2 sided build with picture squares on front and back. 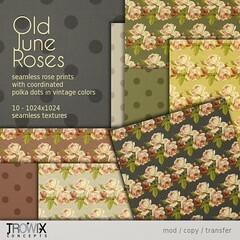 – On the puzzle body seamless textures work well since it will be covering the front, back and sides. 4 meshes linked together 2 PE at normal use size. 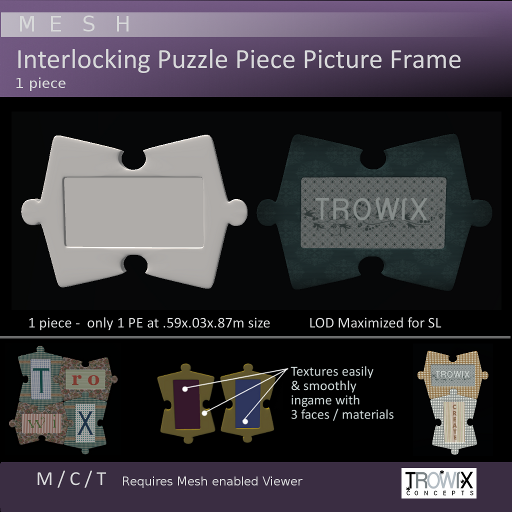 You can check this out at Trowix Barn – wear your mesh viewer! Have a week like no other! 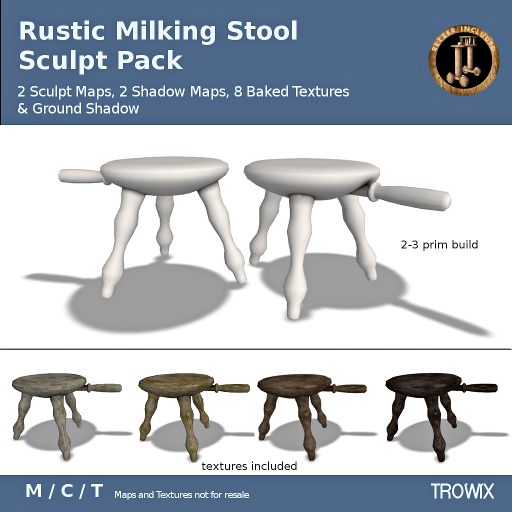 A traditionally designed antique milking stool with carved legs and handle. 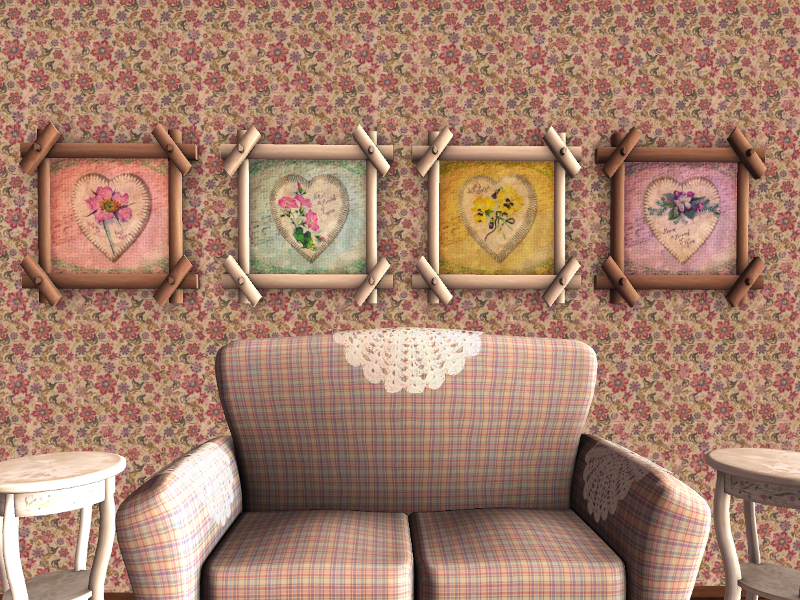 An adorable accent in any time or era, made better by LOD 2 components and been-in-the-barn for years textures. You’ll create fond memories with this quaintly crafted stool. This adorable stool has everything! Even a Ground Shadow. 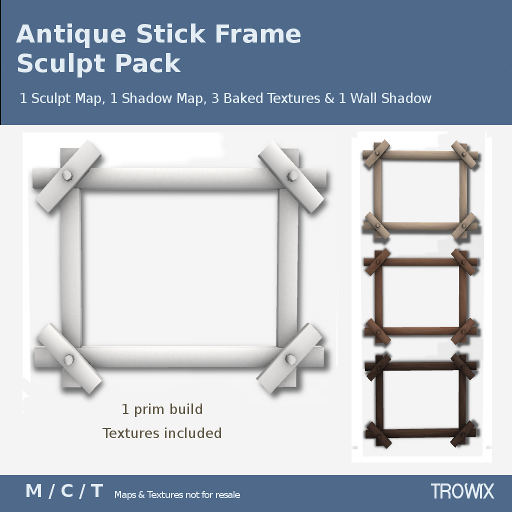 We hope you’ll add this sculpt pack to your bag of building supplies.